What's not to love about college football right now? From explosive offenses and new rivalries to hard fought games and the emergence of the College Football Playoff, incredible story lines glue millions of Americans to their televisions every Saturday. Therein lies the problem, though. Fans are growing more reluctant to leave the comfort of their living rooms and shell out money to attend games in-person. College athletic departments are concerned about the attendance of one group of fans in particular: Students. With the advent of social media, the creation of a better "second screen" experience and a surplus of campus and local entertainment opportunities, athletics departments are battling to attract students to sporting events. "Athletics departments are concerned with how to appeal to students, because student attendance has declined the past couple of years. If students don't attend games when they're students, the likelihood of them attending as a young alumni or becoming a donor decreases," said Dave Butler, the CEO of Spectra Ticketing & Fan Engagement, which is the primary ticketing company for 22 of 25 schools in 2015's AP football pre-season top-25. Through surveying students, athletics departments gained a better understanding of what motivates millennial fans to attend games and stay until the final seconds. Three factors appear to drive a student's decision to attend sporting events: Utilizing mobile technology in the game day experience, experiencing the game with friends, and sharing about their experience in real-time through social media. When it comes to the mobile experience, one thing is certain: Students don't want to access and experience games the same way that their parents did. In this regard, if athletics departments want to drive student attendance at games, they must allow students to gain entry and access to games, concessions and apparel through their mobile phones. "The under-30 marketplace of fans lives and dies by mobile. This means that teams must make it easy for a younger fan to interact with the team to buy, deliver and scan their tickets through mobile. Millennial fans don't want to print tickets or wait in line for tickets. Requiring those things lowers the likelihood of their getting tickets to attend," Butler explained. One Division I athletics department that has turned to mobile to deliver tickets to students is the University of Maryland. "Maryland is a very progressive organization in this area. They were one of the first schools to go to a 100-percent digital system to deliver tickets to students," Butler noted. 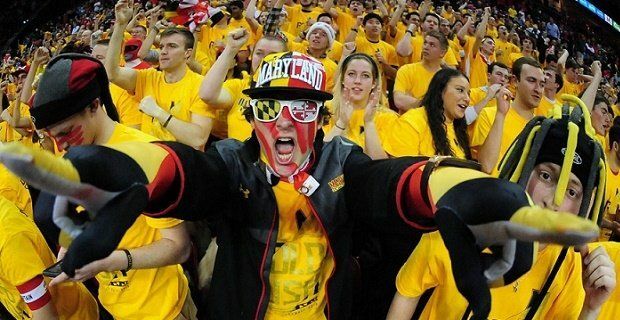 Turning to mobile for student ticket delivery has proven successful for Maryland. 100-percent of student fans purchasing tickets to an event utilize a mobile device to do so. 85-percent redeem from a mobile device, according to Butler. Beyond being tied to their mobile devices, a key characteristic of the millennial generation is their desire to be tied to community. Research has repeatedly shown that millennials are one of the most community focused generations. Thus, it is no surprise that millennial fans demand a community experience if they're going to travel to the stadium. Several athletics departments have taken this cue and built in community driven experiences inside of their stadiums. In turn, these athletics departments have seen greater upticks of student fans attending games. One such athletics department is at the University of Arizona, under the leadership of athletics director, Greg Byrne. In 2013, the Arizona Wildcats began playing in the newly renovated Arizona Stadium, which seats 56,029. Ten years before that, though, Arizona launched the ZonaZoo, the Wildcats' student section. Over time, the ZonaZoo has become more than a mere student section. Rather, it is the loudest section in the stadium and an example to other fans of the energy necessary to drive a team to win. Highlighted amongst this, is the emphasis Arizona placed on the important role its student fans play in its teams' successes. 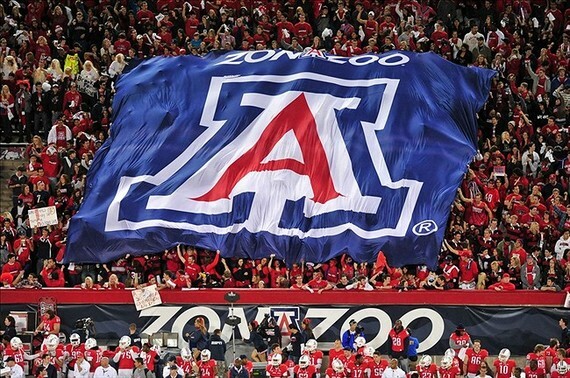 ZonaZoo members gain entry to every University of Arizona athletics event. At football games, they access seating in the prized 40-yard-line section of Arizona Stadium. Through general admission seating, friends and student organizations can sit together and share in the experience communally. Byrne estimates that between 8,000 to 9,000 students attend every Arizona home football game. The ZonaZoo is loud, energetic and always donned in the Wildcats' red and blue. In 2015, they were named the NCSSA Student Section of the Year. Giving students a chance to take in sporting events as a community is critical to driving them to games. "Attending a sporting event isn't a complete experience for many members of the student body if they aren't able to share the experience in real-time with their friends. Attending athletic events for millennials is truly a social experience. In this regard, many schools have created general admission areas for students, so 20 friends can sit together," Butler noted. When students attend games as a community, they may face peer pressure to remain in their seat until the game's conclusion, rather than leaving early, addressing another athletics department goal. "One of the things I figured out about marketing a long time ago, is that you have to be direct. People have a hard time reading between the lines of subtle messaging. I was working out one morning and thinking about the kids in the first row at our football games. Everyone behind them is looking at the back of the shirt in front of them. So I thought, 'Why don't we put a very direct message there about staying?' We came up with, 'ZonaZoo stays the entire game.' I know there are some students who get a hard time when they're leaving the stadium. When the ZonaZoo puts the camera on them as they're leaving and asks why they're leaving, it puts peer pressure on them to stay," Arizona's Byrne said. How else can athletics departments motivate students to attend games? Simple: Meet them where they are. In an age when a new social media channel pops up weekly, it's no surprise that another driver of millennials to games is their ability to share or learn about it on social media. The challenge for athletics departments, though, is determining how to best reach millennials in this space. "The struggle at any school is always going to be trying to figure out the best way to reach students. For years, the number one excuse students gave for not attending games was they didn't know when they were. You don't hear that as often anymore, but we are competing for their attention. We have to find ways to create an experience at our games that'll be better than watching the game on television," said Craig Pintens, the University of Oregon's senior associate athletic director for marketing and public relations. In this regard, the National Association of Collegiate Marketing Administrators and the University of Oregon's Warsaw Sports Marketing center conducted a survey identifying which social media channels students attending games rely on most for team information. Notably, 85-percent of students attending three or more games per year follow their team on Snapchat, followed by 77-percent for Instagram, 74-percent for Twitter and 72.2-percent for Facebook. "Students are certainly on social media. Most of them are interested in the team and follow the team, but getting them out to games is an entirely different animal. One thing we did last year is we put The Duck on Tinder and users could win a date with The Duck. It got some attention from students. You need to do something that is going to have people talking about a particular promotion. Snapchat is a great way to attract students to a game. We post snaps of what's happening in the arena, so if a student is on campus and sees a snap, it reminds them there's a game tonight. Athletics departments have to get creative and find ways to drive students to games," Pintens remarked. With millennials, the marketing game has changed. Yet, the goal is the same: Motivate them to become loyal fans of their university's teams. For athletics departments, the surest way to accomplish this is to recognize that millennials aren't their parents. Thus, marketing to them must be mobile-oriented and in a manner allowing all of their friends to come along with them.